Now that you’re in the real estate game, what’s your plan for your money? What are your plans for retirement? In today’s episode, in an interview-style episode, Monica and her guest, Kasey Stewart, talk about defining financial wellness, how to achieve it, and what resources can help you manage your money for the future. In 2017, NAR’s president wanted to help Realtors® prepare for retirement. 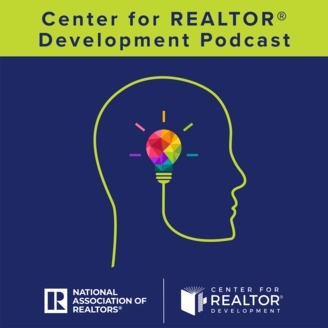 In a career where they get paid commission checks, planning can be hard for Realtors®. The Center for Realtor® Financial Wellness covers several different areas of investment. You can also set goals for yourself and explore the resource library. Kasey shares some statistics about their members. 43% are not preparing for retirement and 42% are not prepared for a financial emergency. What does financial wellness mean? For Monica, it means she is in a place where she doesn’t have anxiety about her finances. This includes having reserves, having some idea of retirement, and flexibility and finances to tend to personal or family issues. It’s a subjective term depending on your situation — it may be different for everyone. Think about what you need to feel financially healthy. Every form of debt has interest that will compound. Debt can also cause anxiety and might even physically manifest itself. If you’re in debt, work on getting out of debt. There are people who can help you get out of debt, but be careful with the help you choose. Once you pay off your debt, it might be a good idea to roll those payments over into another account, maybe for retirement or a savings account. As independent contractors, it’s important to keep your business reserves separate from your personal reserves. To create a budget as an independent contractor, write down all of your necessary expenses in your personal life. Also, do this for your business, so you have a number that you know you need to get by each month. At some banks, you can set up different accounts to set aside the money to pay your brokers, your taxes, and other anticipated expenses. To build her reserves, Monica has a business checking account (you could also open a personal checking account for your business funds), and only uses it for business expenses. Monica also uses financial software to help her keep up with her finances. She uses QuickBooks, but there are many different financial software packages you can use. NAR members can get a discount on QuickBooks Self-Employed for $5/month. A couple of ways to build up your reserves are to take a percentage of each closing check and distribute it to your different reserves; if you find you’ve had a generous season, you can move larger chunks of money. How do we prepare for retirement as independent contractors? Paying for retirement can be difficult if you don’t get consistent paychecks. One of the first things you can do for the future is to improve your amount of business today. You need to define what amount of money would make you feel comfortable for retirement. There are also different avenues you can use to fund your retirement: stocks, bonds, IRA’s, etc. Investing in stocks can be a good way to start funding an account to purchase real estate down the road. The closer you get to retirement, the more conservative you should be. It would be wise to work with a financial investor that can help you modify for your level of comfort, and also help you understand how your real estate investments play into that. Invest in what you know! You can also determine which type of IRA you might want to invest in. There are several different ways to invest in real estate: buy a rental property for long-term tenants, Airbnb-type rental, commercial properties, or a real estate investment trust. When considering these avenues, think about your tolerance for management and your tolerance for risk. Estate planning is part of the financial wellness program. It’s incredibly important to have a will and a Power of Attorney, in case anything should happen to you. For more information, visit financialwellness.realtor. Financial planning is important for people just getting into the industry or people who have been in the business for a while and are starting to look ahead toward retirement. Training4RE.com — List of Classroom Courses for REBAC and REBI classes. 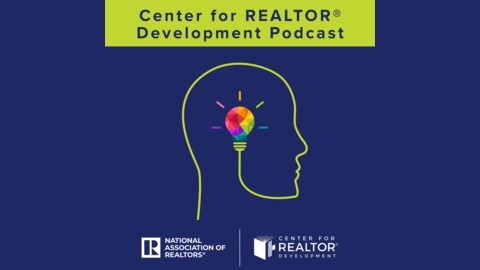 Kasey Stewart is the director of Member Development at National Association of Realtors®, and the program director for the Center for REALTOR® Financial Wellness.